At Dante in New York City, Marlo Gamora offers easy-drinking sophistication. 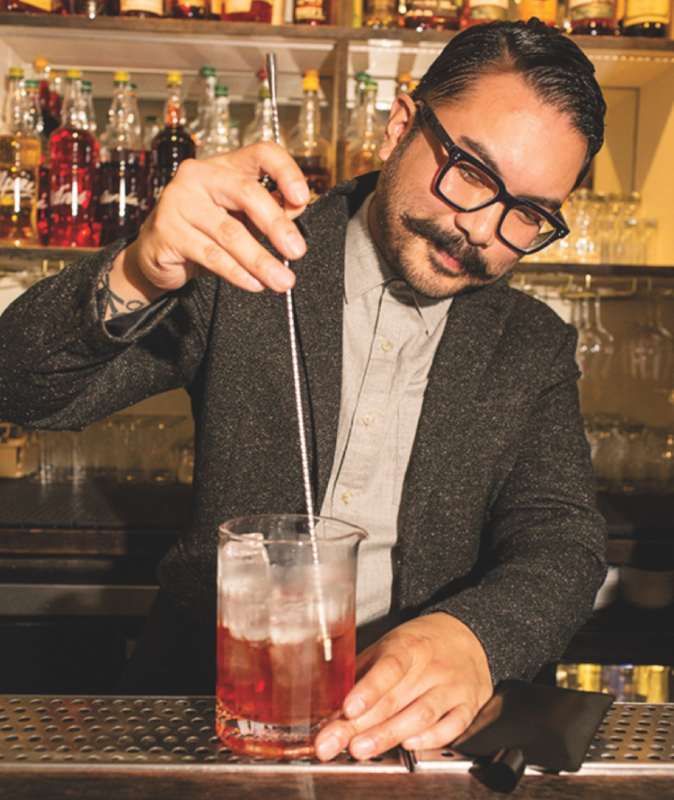 Marlo Gamora, lead bartender at Dante in New York City, favors craft cocktails made with fresh ingredients, as well as tiki drinks. Born in the Philippines and raised in New Jersey, Marlo Gamora always dreamed of “living that beach life.” After spending two months in Southeast Asia, the bartender returned to New York City with a new excitement for craft drinks using fresh ingredients. In the late 2000s, Gamora delved into the classic mixology movement and began making traditional recipes on his own. This passion led to a position at the Brooklyn cocktail lounge Trix, where he further honed his skills. Now Gamora is the lead bartender at Dante, which opened in 2015 in Manhattan’s Greenwich Village. Conceived by renowned mixologist Naren Young, the beverage program focuses on aperitif-style drinks, with prices ranging from $10 to $15. “Developing the cocktail menu is a team effort,” Gamora says. “Everyone has different flavor profiles and palates they’re working with. But it’s still concise within the ideology of Dante: easy-drinking, sessionable cocktails.” Over the summer, the restaurant featured a Spritz menu, which highlighted concoctions made with low-ABV ingredients like vermouth and sparkling wine. Created by Young, the popular Al Fresco Spritz ($48 for four to six servings), blending Martini & Rossi Bianco vermouth, St-Germain elderflower liqueur, Bombay Sapphire gin, Prosecco, Perrier and lime juice, will remain on the drinks list year-round. “It’s floral and refreshing and fits into Dante’s daytime drinking theme,” Gamora says. The Negroni menu is another key element of Dante’s beverage program. Punchdrink.com recently named the bar’s top-selling Negroni on tap as the best Negroni in America for its gin-forward take on the classic. Rather than being equal parts Bombay Sapphire, Campari and Martini & Rossi Rosso sweet vermouth, the recipe calls for slightly more gin. “Bombay is higher proof so it really shines through, and the drink isn’t as saccharine as a traditional Negroni would be,” Gamora notes. The bartender’s personal enthusiasm for tiki-style cocktails can be seen in his Tiki Crusta, mixing Plantation rum, Bénédictine liqueur, passion fruit juice, lime juice, simple syrup, St. Elizabeth allspice dram, Angostura Aromatic bitters and Dale DeGroff’s Pimento Aromatic bitters. The drink was featured as the cocktail of the month on Dante’s menu earlier this year. “Every month, we have an internal competition where we all come up with a drink and vote for the best one,” Gamora says. Another one of Gamora’s creations, also highlighted as a cocktail of the month, is the Rose Martini. 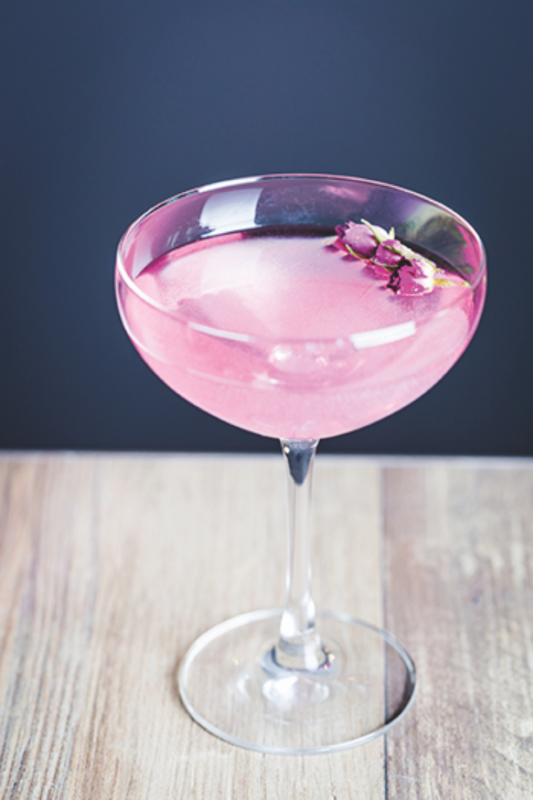 It comprises Grey Goose vodka, Noilly Prat dry vermouth, Cocchi Rosa aperitif, St-Germain, Peychaud’s bitters and a lemon twist, garnished with a tiny pink rose. Lime wheels, mint sprigs and green grapes. Stir the vermouth, liqueur, gin and juice in a pitcher and top with sparkling wine and Perrier. Add fruit and mint. 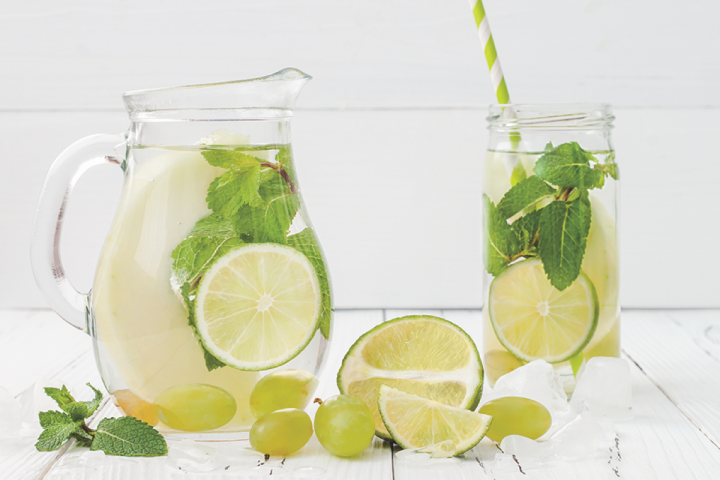 Serve in an ice-filled highball glass and garnish with a lime wheel, a mint sprig and grapes. Stir the vodka, vermouth, aperitif, liqueur and bitters with ice and strain into a coupe glass. Twist lemon peel over the drink and discard. Garnish with tiny pink roses.